Many other solar systems discovered in the past decade have giant gas planets in very tight orbits around their stars. 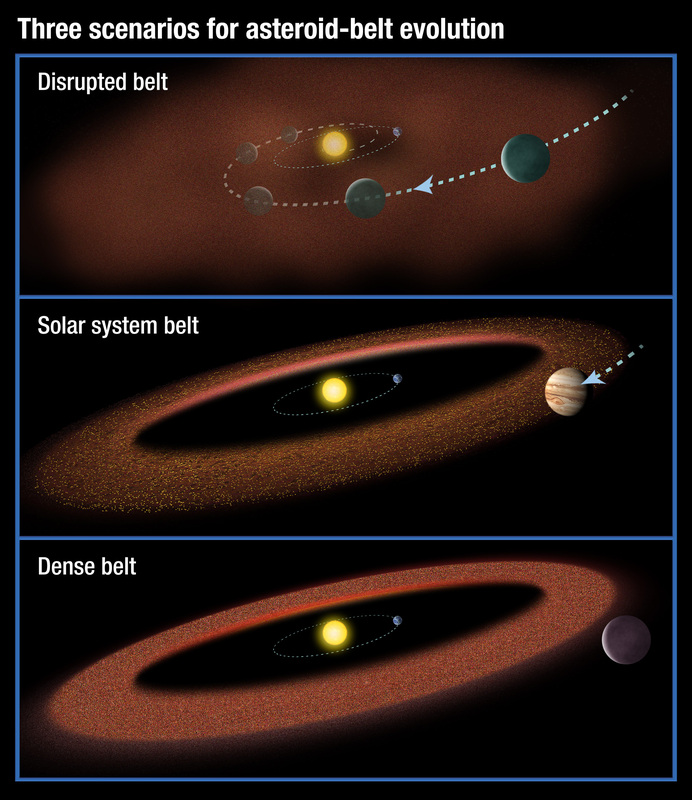 Only 19 out of 520 solar systems studied have Jupiter-like planets in orbits beyond what is known as the “snow line”–the distance from the star at which it is cool enough for water (and ammonia and methane) to condense into ice. Scientists believe our Jupiter formed a bit farther away from the Sun than it is now. Although the giant planet has moved a little closer to the Sun, it is still beyond the snow line.